When you’re constantly on-the-go or short on time, training apps can be a great tool for staying on top of your fitness goals. But with thousands of health and fitness apps out there, it’s impossible to sift through them all to find the best ones to suit your individual needs. 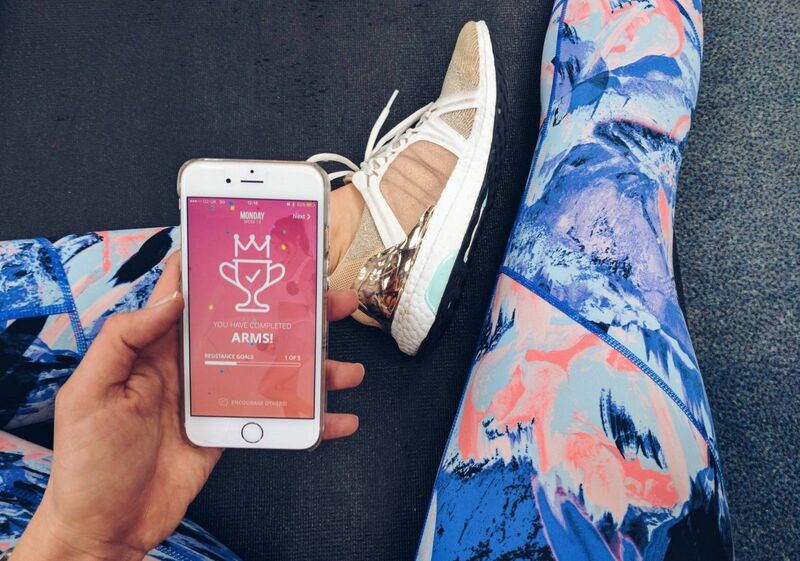 One of the highest rated fitness apps out there, Sworkit took the fitness world by storm when it launched in 2014. The angle? To offer personalised plans based on your fitness level, goals, and time available—which can all be done at home or on the road. When you log onto the app, you’ll be prompted to subscribe to the app with a 30-day free trial. Then you’ll input goals, such as losing weight, adding muscle mass, becoming more limber, etc. The app then suggests various six-week starter plans, most of which include three 15- to 30-minute workouts per week. See also: Ask A Trainer: How Do I Lose Belly Fat Fast? From there you can customise your training, peppering in a few guided yoga workouts, daily stretching or a session or two of high-intensity interval training (HIIT). Aside from the amazing flexibility, one of the best things about Sworkit is the clear and detailed animation videos that make it easy to ensure proper form. An oldie but a goodie, MyFitnessPal is the king of calorie and nutrient tracking. It’s easy to tack on an extra 300 calories every day when you’re not paying attention, but MyFitnessPal keeps you honest. Not only can you track your meals and daily physical activity, but you can also set targets for daily protein, carbohydrate and fat intake. It’s also great for tracking micronutrients such as iron, potassium and vitamins—all vital to a healthy diet. The app contains a vast database of millions of foods, though we’ll admit it’s a little light on Cantonese cuisine. There’s also an option to scan a barcode if you can’t find what you’re looking for. That said, you can create your own recipes for homemade foods, which takes all the guesswork out of calorie counting. You may have come across Kayla Itsines’ 20 million-strong online fitness community through TV, eBooks or her famous Instagram videos. In late 2015, the Australian personal trainer converted her 12-week fitness and nutrition plans into the SWEAT app, which revolves around 28-minute long BBG ("Bikini Body Guide”) workouts. The app makes it easy to fit in a full-body workout anywhere, requiring nothing but your body and a few hand weights, depending on the day. A typical circuit-style workout might include squats, planks, push-ups, jumping jacks, and burpees—ultra-effective when paired with Itsines’ recommended recipes. The app has everything you need to stay on track, including insightful blogs, an active support network and a weekly grocery shopping list. Developed by a husband-and-wife duo in England, Seconds Interval Timer makes those HIIT workouts so much easier to integrate into your daily workout. The free app (which works seamlessly with your Apple Watch) is extremely versatile, providing handy custom timers for Tabata (rapid intervals) or circuit training, plus built-in programmes that are ready to go. What makes this timer app different than others is the easy-to-read display, customisable sound alerts, and adjustable music options—so you can match the tunes with your interval intensity. If you have friends or family using Seconds, you can also share the custom timers and work out together. Daily Yoga is pretty much what it sounds like. Ideal for those who want to practice on the go, the beautifully designed app provides the world’s largest database of yoga poses as well as hundreds of routines based on duration, your ability level and personal goals. Accompanied by HD video demos, the 30-Day Challenge throws beginners into a routine and the “Yoga Around the World” sessions should inspire those practising on the road. Unlike many other yoga apps, Daily Yoga tracks your activity, calories burned and offers access to an engaging online community—providing the motivation you need to keep going. In addition to yoga, the app also includes Pilates and meditation sessions with beginner-friendly tutorials that will ease you into the practice. This app will make you feel good while doing some good. Charity Miles enables runners, bikers and casual walkers to earn money for causes they care about—simply by moving. When you set up the app, you’ll choose from one of the 40-plus charities, which include ASPCA, Stand Up To Cancer, and the World Wildlife Fund, among others. Simply let the app run and watch your donations accrue. Whether you’re grabbing a coffee or biking around the city, the GPS tracker on your phone will tally up your distance and convert that into money for charity. For walking and running, you’ll earn about 25 cents (HK$1.96) per mile while biking will earn you 10 cents (HK$0.78) per mile. So far, the app has raised more than $2.5 million (HK$19.6 million) for charities via corporate sponsors, such as Johnson & Johnson and Chobani Greek Yoghurt company. Keeping the good vibes going, the app plays nice with other apps, such as Fitbit, so you can track your steps and the money you’ve raised without hassle. If you’re curious about HIIT but don’t want to drop thousands of Hong Kong dollars a month on pricey gyms, then Keelo might be the ticket. Designed for both newbies and veterans alike, you can personalise the app by inputting your gender, age, fitness level, available equipment, and preferred duration. Based on your data, the app will suggest a recommended workout—each lasting less than 30 minutes—based on factors including muscle groups you’ve recently trained, specific movements performed, and time length. A typical beginner workout could include three rounds of jump squats, sit-ups and burpees in 14 minutes or less. Depending on your fitness level, the app will recommend working out three to five days a week. After a two-week free trial, subscribe to access premium features including chats with coach (and world-record Olympic weightlifter) Shana Alverson, programming and Keelo Strength.